Here's a list of frequently asked questions pertaining to radon and radon abatement techniques. For more in depth information about radon and radon mitigation please view the site index. If you have a questions that's not being addressed please click the link in the gray box to ask your radon question. I will respond to your question by e-mail promptly. Then your question will added to Radon FAQ list. We won't use your name so be afraid to ask! Note this page is a work in progress!! We'll be adding more FAQs over the next few months. 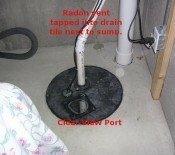 Why can't I install my radon fan in the basement? Can I seal radon out by caulking and using a concrete sealant? What size pipe should I use for my radon system? 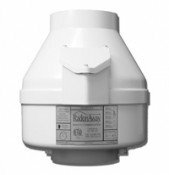 Can I use my chimney or sewer vent for a radon pipe? Why can't I vent my radon pipe out the side of my house? Do I hear water in my radon pipe?